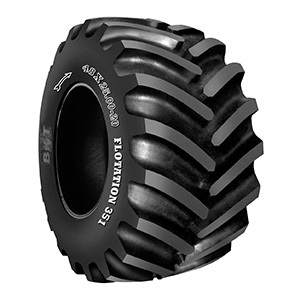 FLOTATION 351 is a bias flotation tire which best suits transport applications using trailers. Extra deep lugs provide outstanding traction and a longer tire life. FLOTATION 351 is the ideal tire on wet and moist surfaces and helps to improve the productivity of today’s farming businesses.